Product code: 6345 Kategorier: Motorcykel verkstadshandbok, Suzuki. 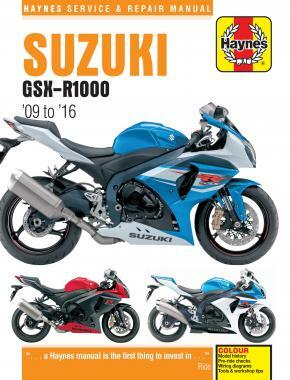 This manual covers eight years and two generations of Suzuki’s largest GSX-R. The 2009 K9 model was a completely different bike to the previous GSX-R1000, with new engine, chassis and suspension. After three years the model was updated with engine and braking improvements, and for 2016 an ABS version was added to the line-up.